To all POPULAR Card members, good news for you! you get to enjoy Buy 1 FREE 1 of this movie's Premier Tickets! TGV Sunway & TGV 1st Avenue, Penang. 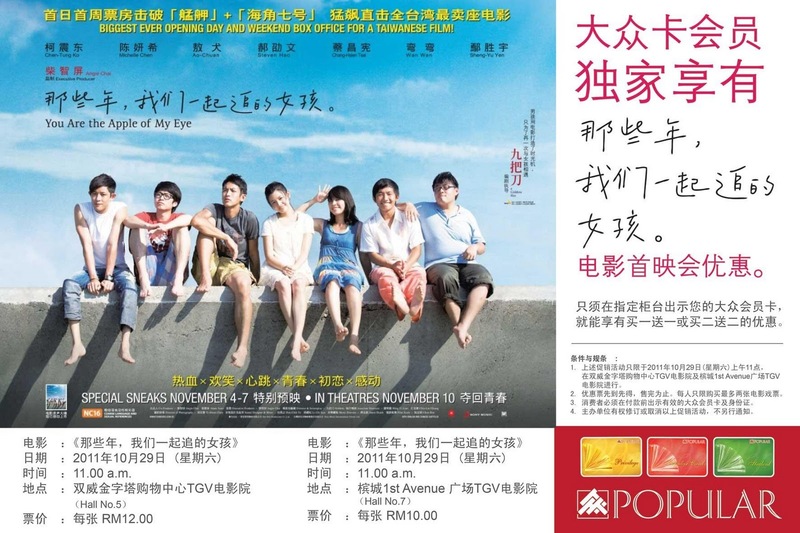 to enjoy Buy 1 FREE 1 for the movie "You Are the Apple of My Eye".